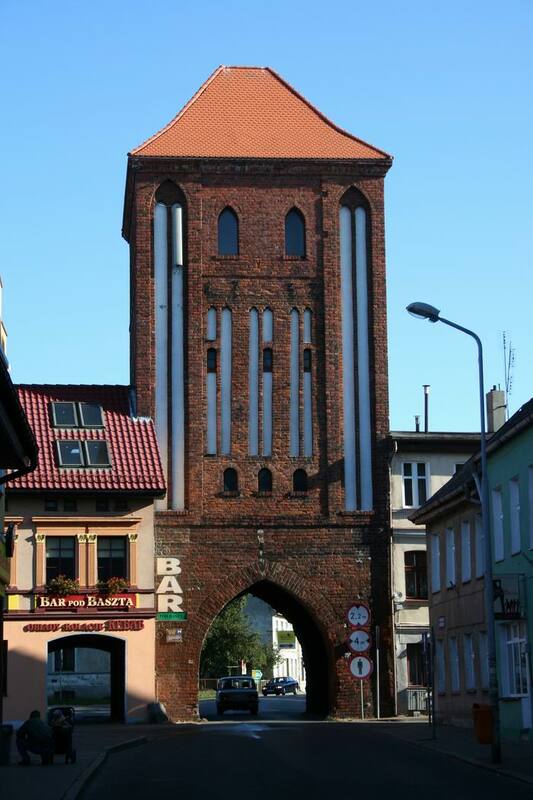 Darłowo was founded in 1271 by the Rugen prince Wisław II on the site of an earlier hillfort called Dirlov. 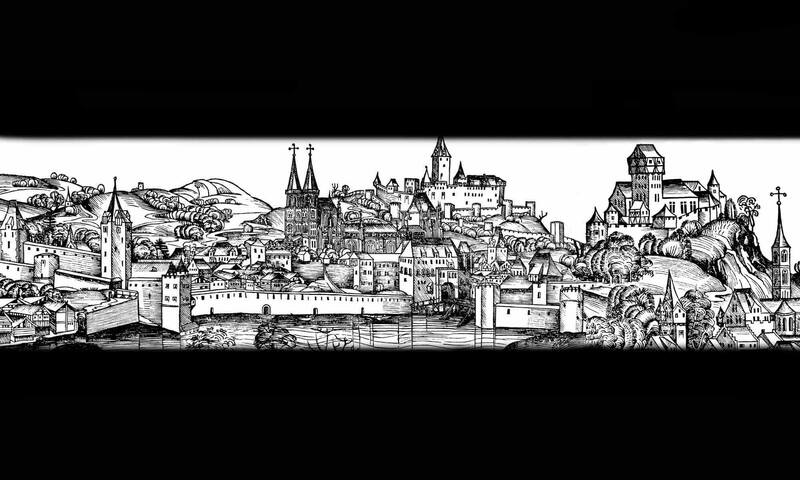 The city began to develop quickly and probably already around 1320 was surrounded by fortifications in the form of earth ramparts and moats. Then, the construction of brick gates began. Until the end of the 14th century, the whole town was surrounded by brick walls, the total length of which was 1500m. 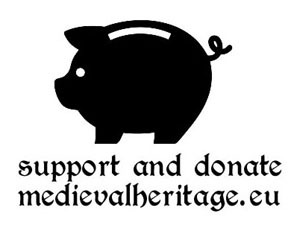 In the 17th century, medieval fortifications were already obsolete, and around 1720 they were in bad condition and in many places they were in danger of collapsing. 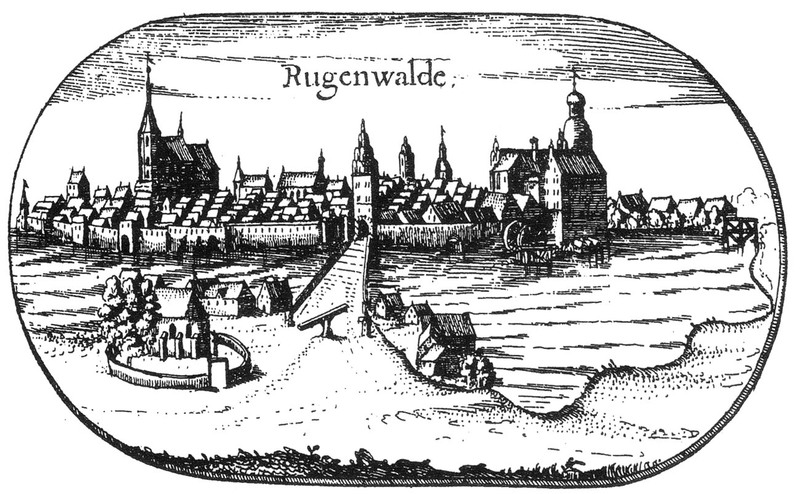 Even in 1732, the High Gate was renovated, but in the nineteenth century, walls were completely demolished. 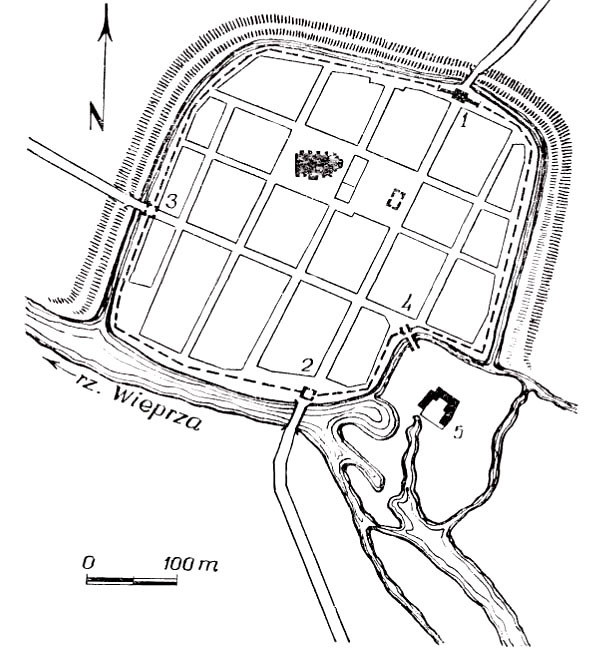 The plan of Darłowo’s defensive walls was close to a quadrangle with some disturbance in the area of the castle. The total length of the defensive walls was about 1500 meters, and the town’s area within fortifications was 14 ha. They had a covered, wooden porch for guards and arrowslits. The walls were reinforced with regular, rectangular towers and three gatehouses. 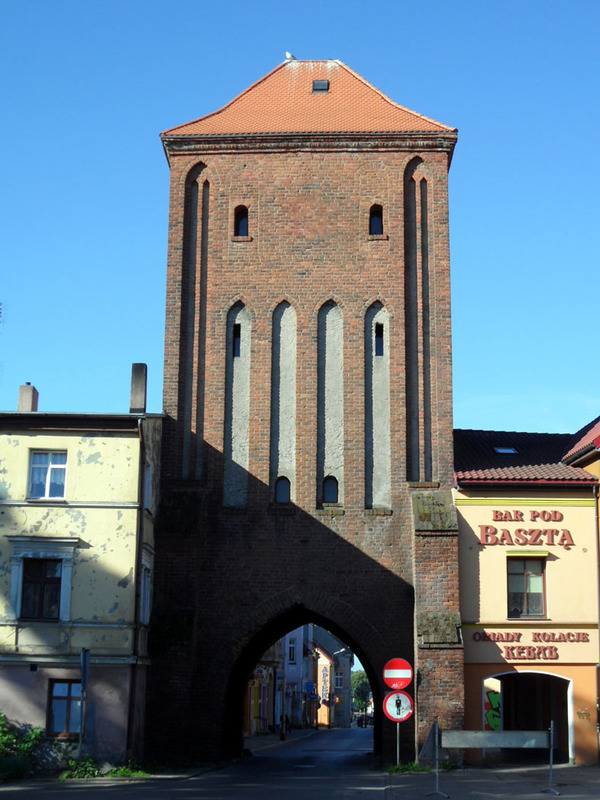 In north-east part of the city was the Stone Gate leading towards Słupsk, in the western part the New Gate, and in the southern Wieprzańska Gate leading towards Sławno. The wicket Castle Gate ran to the castle on the mill island. The High Gate erected on a square plan has four floors. It has a pointed passage and is topped with a hip roof, which is the effect of the eighteenth-century reconstruction. The elevations are decorated with lancet blendes. The narrow arrowslits and the currently walled entrance to the porch of the defensive walls, are preserved. To date, only the Stone Gate, also known as the High, has survived of the town walls. Lukas E, Średniowieczne mury miejskie na Pomorzu Zachodnim. Poznań 1975. Ptaszyńska D., Miejskie mury obronne w województwie koszalińskim, Koszalin 1974.